A flexible spine is a young spine, and at Glacier Chiropractic of Seattle, we strive to use innovative practices such as wobble exercise to keep your spine supple and healthy. This is a practice that is sweeping the nation and does wonders to reduce stress, assist in healing damage, and to keep your spine young! We all have stress in our daily lives and sometimes that stress is physical. Our lower backs, in particular, hold a lot of stress related to continually sitting (usually in non-ergonomic chairs) and this has a significant impact. 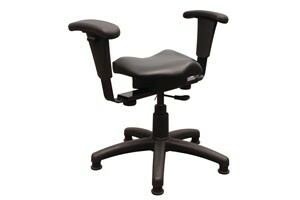 The stiffness and discomfort we feel can be alleviated, especially with devices like the wobble chair. The movements of this chair help to enhance blood flow and oxygenation through spinal discs, relieving the stress and strain of our daily lives. Spinal exercise might seem counter-intuitive after a spinal injury, but it’s precisely what is needed when it’s time for rehabilitation. The more flexibility in the spine, the less likely injury is to recur. A wobble cushion or chair helps to reinvigorate spinal flexibility by rehydrating the lumbar discs and circulate CSF (spinal fluid). Discs have no direct blood supply, so movement is required to pump in healthy fluids and pump out waste. The gentle motion of wobble exercise is ideal for this process. There are many methods for reducing lower back pain, such as adequate chiropractic care and regular exercise that encourages movement, such as Tai Chi and Yoga. Wobble exercise is now at the forefront of pain reduction. There is nothing better for pain than healing (and prevention). The wobble exercise can be started slowly, and effort increased with ability. With this technique, there is no strain or effort that will overwhelm a patient just getting started. Warm up the spine and increase vitality with this low impact exercise. Contact Glacier Chiropractic today to schedule an appointment with our experienced chiropractors and inquire about the benefits of the wobble exercise and other therapies. Your health is our top priority, and we strive to stay on top of the latest trends and research to bring you the best care and practices.